Multiple fluid collections around the liver, the spleen, and the stomach. 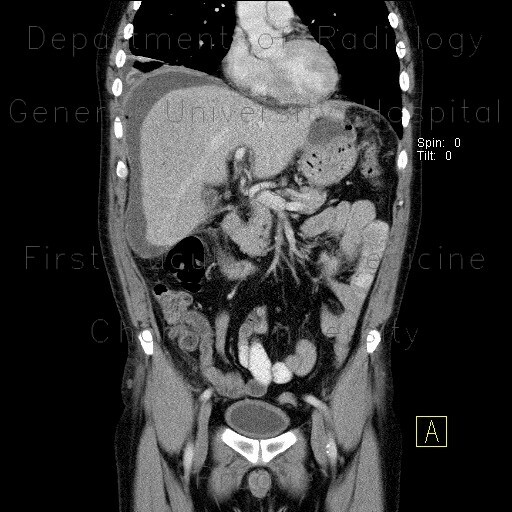 One collection around the liver contains small inclusion of air bubble. The collections are somewhat circumscribed, separated from each other, because the perforation took place some time ago.